Looking for a natural way to lose weight, reduce cholesterol and have greater control of your diabetes? We have investigated and found a weight loss program that has been around for over 15 years, using organic, non- genetically modified ingredients. Isagenix is an organic food system that takes a balanced lifestyle approach to better supporting the body’s natural cleansing and replenishing needs. It is not a diet, but a sustainable lifestyle, not a weight-loss program but a body composition system that builds muscle while burning fat, and not a fast or detox program but a nutritional cleanse that supports the body’s natural cleansing/replenishing processes with whole-food nutrition. In short, this weight loss program is designed to work by giving your body what it needs to succeed. As the world’s first and only total-body, deep cellular nutritional cleansing and replenishing system, Isagenix delivers many unique and diverse benefits for every single cell and organ system in the body. Being such a comprehensive system adaptable to all ages and goals, it is difficult to simplify too much beyond this. We are excited to be able to provide a customized weight loss program to help people move towards wellness. Thankfully, because Isagenix is so customized to each person and backed by so much research, anyone can lose weight while using Isagenix. Weight loss isn’t easy, but the right tools can make it possible. Once you see the changes in how your body looks and feels, you will be able to continue down the path of health until you not only reach your goal, but continue to surpass new goals. 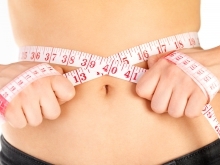 To learn more about our weight loss program in East Stroudsburg, reach out to Marshalls Creek Chiropractic today.